This our miniature schnauzer Shyanne, she gets the nick name "shy" because she is so timid. 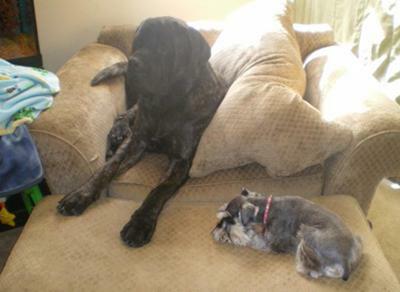 We have three miniature schnauzers in the family which all are sisters, same mom and dad, just diffrent litters. Schnauzers are a very wonderful and intelligent breed.